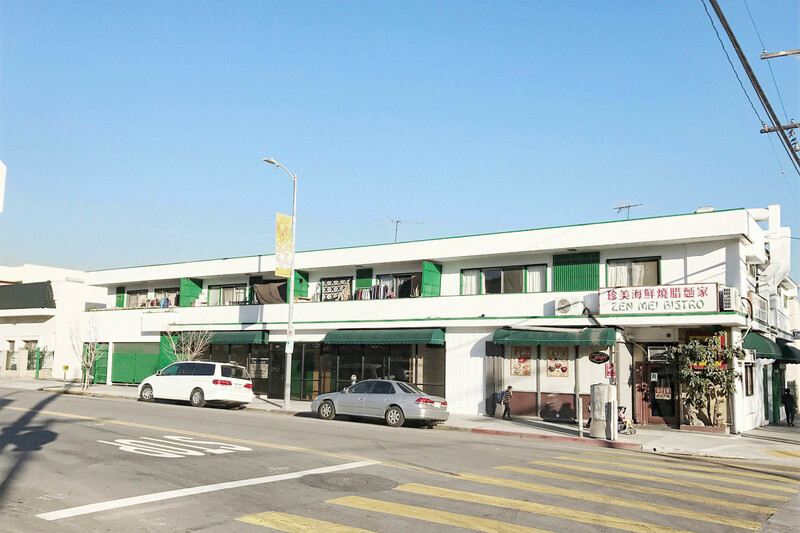 Mixed-use property located at a prime location in Los Angeles; Chinatown, Los Angeles, at the corner of Alpine St. and Yale St. There are 4 retail-commercial units on the first level and 7 residential units on the second level. All residential tenants are currently well under market rent. Possibility to operate a business and live in one of the units above. Perfect investment property for owner-user in Chinatown! This property is also zoned for mixed use and multi-dwelling. Tax record shows property building sqft to be 10,540. Below market rents with good upside potential. Walk Score 95. This building is located on the northeast corner of Yale Street and Alpine Street, adjacent to Castelar Elementary School and a Chinese Consolidated School. There’s also a popular Active/Rec Center located directly across the street from the property. Conveniently located next to the 110 freeway, 5 minutes away from Downtown Los Angeles, 5 min away from Dodgers stadium, and 5 minutes from the Chinatown metro station.